It's about this time each year when I frantically add a few last books to my summer reading pile and begin to look forward to the Fall releases. As a result, my wishlist swells and my pocketbook wains. Below are the books at the top of my wishlist. 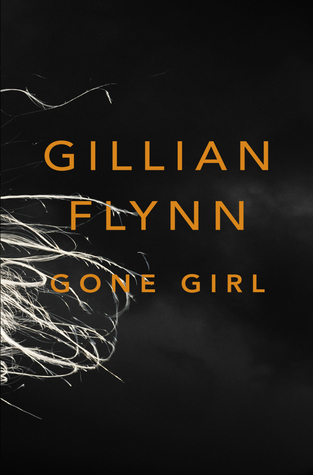 Gone Girl, Gillian Flynn: Everyone has been talking about this book and I've yet to hear anything negative. I need this book and I need it now. Synopsis: Just how well can you ever know the person you love? This is the question that Nick Dunne must ask himself on the morning of his fifth wedding anniversary, when his wife Amy suddenly disappears. The police immediately suspect Nick. Amy's friends reveal that she was afraid of him, that she kept secrets from him. He swears it isn't true. A police examination of his computer shows strange searches. He says they aren't his. And then there are the persistent calls on his mobile phone. So what did really did happen to Nick's beautiful wife? And what was left in that half-wrapped box left so casually on their marital bed? In this novel, marriage truly is the art of war. The Eyre Affair, Jasper Fford: I've had this one on my radar for awhile and it seems to be the perfect summer read: fun, imaginative, and smart. Plus, Alley from What Red Read has only been raving about Fford forever now. Synopsis: Welcome to a surreal version of Great Britain, circa 1985, where time travel is routine, cloning is a reality (dodos are the resurrected pet of choice), and literature is taken very, very seriously. England is a virtual police state where an aunt can get lost (literally) in a Wordsworth poem, militant Baconians heckle performances of Hamlet, and forging Byronic verse is a punishable offense. All this is business as usual for Thursday Next, renowned Special Operative in literary detection, until someone begins kidnapping characters from works of literature. When Jane Eyre is plucked from the pages of Brontë's novel, Thursday must track down the villain and enter the novel herself to avert a heinous act of literary homicide. Mr. Penumbra's 24 Hour Bookstore, Robin Sloan: I read this short story awhile back and freaking loved it. It became so popular FSG offered Sloan a book deal. Fast-forward two years and the book is almost here! Release date October 2nd. Synopsis: The Great Recession has shuffled Clay Jannon out of his life as a San Francisco Web-design drone—and serendipity, sheer curiosity, and the ability to climb a ladder like a monkey has landed him a new gig working the night shift at Mr. Penumbra’s 24-Hour Bookstore. But after just a few days on the job, Clay begins to realize that this store is even more curious than the name suggests. There are only a few customers, but they come in repeatedly and never seem to actually buy anything, instead “checking out” impossibly obscure volumes from strange corners of the store, all according to some elaborate, long-standing arrangement with the gnomic Mr. Penumbra. The store must be a front for something larger, Clay concludes, and soon he’s embarked on a complex analysis of the customers’ behavior and roped his friends into helping to figure out just what’s going on. But once they bring their findings to Mr. Penumbra, it turns out the secrets extend far outside the walls of the bookstore. 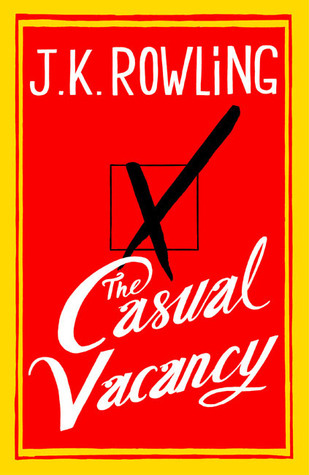 The Casual Vacancy, JK Rowling: I don't know if you've heard of this kind of famous author who goes by the name JK Rowling, but she's got a new book for adults coming out September 27th. Some people are kind of excited about it, myself included. Synopsis: When Barry Fairweather dies in his early forties, the town of Pagford is left in shock. Pagford is, seemingly, an English idyll, with a cobbled market square and an ancient abbey, but what lies behind the pretty façade is a town at war. Rich at war with poor, teenagers at war with their parents, wives at war with their husbands, teachers at war with their pupils…Pagford is not what it first seems. And the empty seat left by Barry on the parish council soon becomes the catalyst for the biggest war the town has yet seen. Who will triumph in an election fraught with passion, duplicity and unexpected revelations? 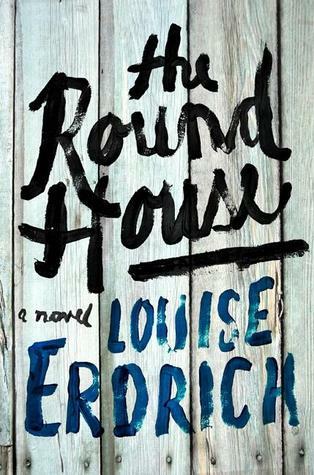 The Round House, Louise Erdrich: This one is going on my "probably will be super powerful" list of books. Synopsis: One of the most revered novelists of our time—a brilliant chronicler of Native-American life—Louise Erdrich returns to the territory of her bestselling, Pulitzer Prize finalist The Plague of Doves with The Round House, transporting readers to the Ojibwe reservation in North Dakota. It is an exquisitely told story of a boy on the cusp of manhood who seeks justice and understanding in the wake of a terrible crime that upends and forever transforms his family. Riveting and suspenseful, arguably the most accessible novel to date from the creator of Love Medicine, The Beet Queen, and The Bingo Palace, Erdrich’s The Round House is a page-turning masterpiece of literary fiction—at once a powerful coming-of-age story, a mystery, and a tender, moving novel of family, history, and culture. The Eyre Affair sounds fantastic! Definitely adding that and Mr. Penumbra's 24-Hour Bookstore to my ever-growing list of books I need to read! JK Rowling's book sounds intruiging and as a huge fan of Harry Potter, I think I should give her new work a shot. Just added Mr. Penumbra to my wishlist! I'm getting a little excited for Zadie Smith's new book, too. OMG! There are so many of those that I want to read. I read Gone Girl. You are right. It's well worth your time. What a great post of luscious books! I just got Gone Girl from the library. I am really excited to read it. I'm also on the lookout for Mr. Penumbra's 24 Hour Bookstore in October. Gone Girl and The Casual Vacancy are the two I would like to read. I did not know of the JK Rowling release so thank you so much for the update. The Eyre Affair is an absolute hoot! My only regret is that Jasper Fford is writing books faster than I can read them -- another Thursday Next book is coming out this fall and I still haven't read the last one. I'm on the library's waiting list for Gone Girl, there are almost 300 holds last time I checked. I've heard all kinds of goodness about Gillian Flynn too. Consider me intrigued. The Eyre Affair, read it!! Also I like your list for the Erdrich book. I just finished Gone Girl and loved it. I'm going to add the rest of these books to my "To Read" list. I really must read The Eyre Affair too (or at least something by Fforde) just to make Alley happy hehe! Also, I just don't know whether to be excited by JK Rowling's book or not, because I just KNOW that people are going to compare it to Harry Potter which just isn't fairrr in any way! But I still reckon it'll be good. I'm itching to read GONE GIRL. It's my book club's September book, and I might have to skip ahead and read it now. The Eyre Affair is lots of fun, but I liked the 2nd book better (more Miss Havisham). Lovely how these rushes of books come every few months. I was just catching up with pulling together my summer reads, but looks like I have a few more to add to the list. So many great books! I couldn't put Gone Girl down. I adore Fforde and the whole Eyre series too! I love Louise Erdrich - thanks for the heads up! Mr. Penumbra's 24 Hour Bookstore is going on my list too... And The Eyre Affair is fun summer reading indeed. Gone Girl is incredible. Gillian Flynn is like this generation's James M. Cain and Patricia Highsmith. 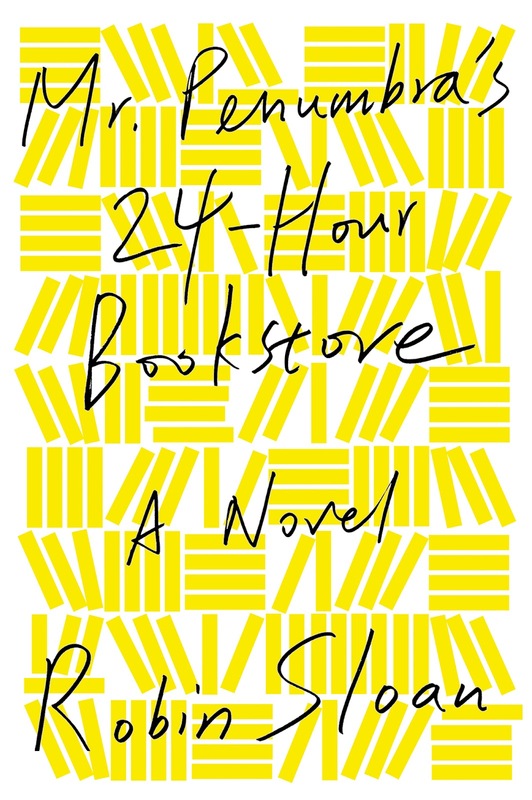 I'm curious about Mr. Penumbra's 24-Hour Bookstore! I've never heard of it! Thanks to the link to the short story. And Rowling's is totally on my wishlist. Do you like the cover? I love it, and haven't met anyone who does! Gone Girl is AMAZING. Seriously. Let me add to that chorus! I'm also excited for the new Louise Erdrich. Somehow I missed this post. Excited about all, most notably The Round House. Agree that it sounds ridiculously powerful. Brenna has read 2 books toward her goal of 50 books.